While Universal Studios Florida and Islands of Adventure don’t plan specific Thanksgiving festivities (with one brand-new exception, which we’ll get to in just a moment), Thanksgiving is celebrated at Universal’s on-site hotels: Portofino Bay Hotel, Hard Rock Hotel, Royal Pacific Resort, Sapphire Falls Resort, Cabana Bay Beach Resort, and Aventura Hotel. This year, the on-site hotels are featuring a festive lineup of Thanksgiving celebrations. 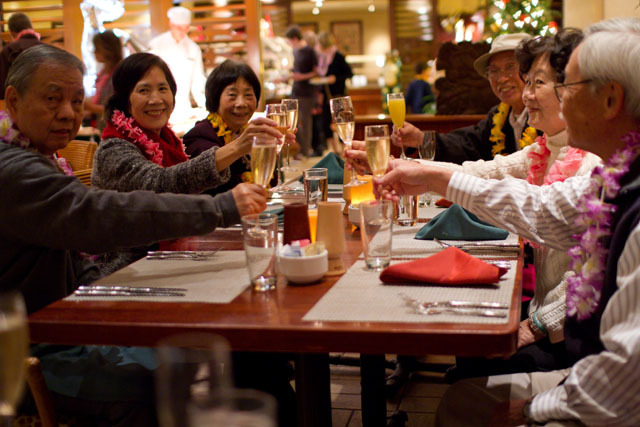 From holiday buffets with live entertainment to a tree-lighting luau and Holiday Harbor Nights, the resorts will glisten with holiday decorations and the spirit of the season. Also, for Thanksgiving 2018, the on-site properties will host a community-wide volunteer event to assemble 425,000 meals for Feeding Children Everywhere, a local charity that empowers and mobilizes people to assemble healthy meals for hungry children. Let’s check out the full lineup, starting with the parks! For 2018, Universal is starting up a new, albeit limited, holiday tradition: serving Thanksgiving feasts at both of its theme parks. While offering just a meal or two at select restaurants may not seem like that big of a deal, it represents the very first time that the company will (officially) acknowledge the turkey-heavy holiday at any place outside of its on-site resorts. What’s on hand? 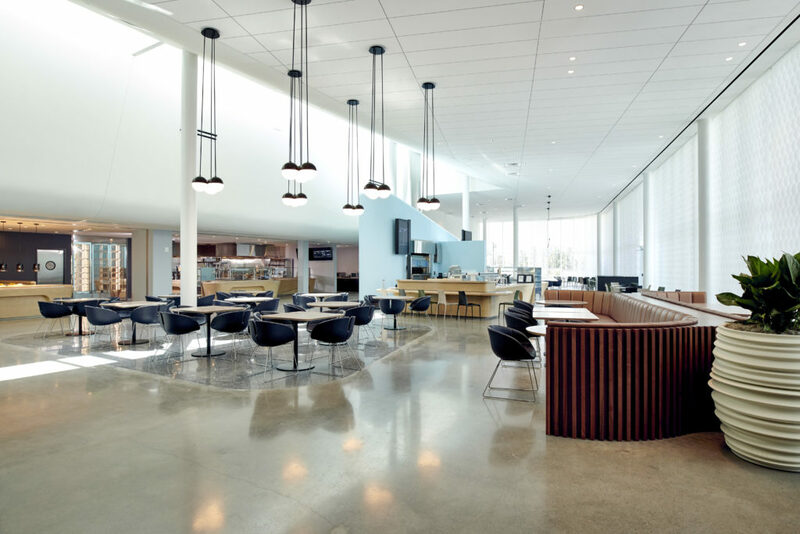 Two different meals – one quick-service, the other full-service, with both having different windows of availability. A turkey feast for four will be served up at Classic Monsters Cafe (in Universal Studios Florida) and Thunder Falls Terrace (over at Islands of Adventure) for four days only, from Wednesday, November 21 through Sunday, November 25. While we don’t have specifics just yet of what, exactly, this meal constitutes or how much it costs, the above picture does a really great job of setting the table for us (pun only partially intended). For just one day – that would be Thanksgiving! 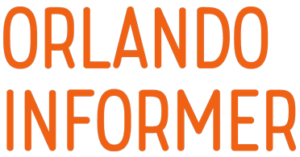 – Lombard’s Seafood Grille (Universal Studios Florida) and Confisco Grille (Islands of Adventure) will have on hand a turkey dinner of their own, consisting of an appetizer of your choice, a turkey entree, and, of course, a choice of dessert. This is the first of three premier hotels at Universal Orlando. You can read more about it here. A holiday buffet, serving up the tastes of Italy, will be offered from 11:00 am to 6:00 pm on Thanksgiving Day, featuring roasted turkey and more. Entertainment will include Universal Orlando characters, a children’s holiday crafts and activities table, a face painter and balloonist, and live music. Adults: $65, children (ages 3-9): $20. 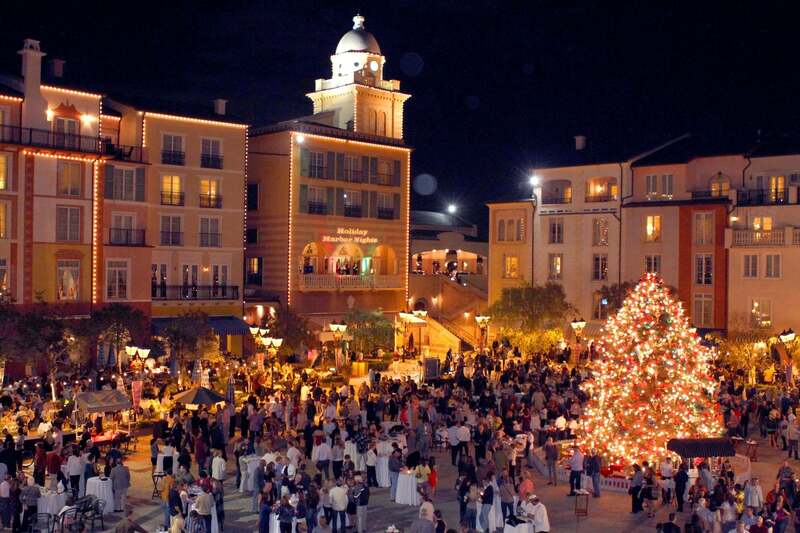 Check out our Christmas page for details on Holiday Harbor Nights at Portofino Bay, which will take place on Friday, November 23 from 6:30 pm to 9:00 pm. This is the second of three premier hotels at Universal Orlando. You can read more about it here. Kick off your Thanksgiving Day with a hearty holiday breakfast buffet, which is served from 7:00 to 11:00 am. Adults: $21, children (ages 3-9): $12, children (ages 10-14): $16. For reservations, call 407-503-DINE (3463). A Thanksgiving Day buffet will be offered from 11:00 am to 4:00 pm and 5:00 to 10:00 pm, featuring a chilled seafood bar, sage-butter-roasted turkey, and more. Entertainment will feature Universal Orlando characters and the Magic Man. Adults: $62, children (ages 3-9): $22. The image above was shared with us by Dana Trivino. 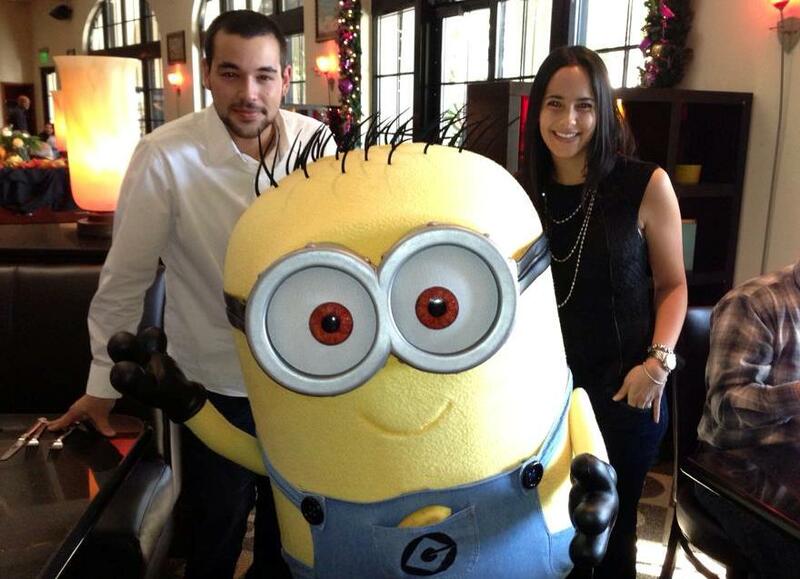 After having Thanksgiving at Hard Rock Hotel in 2012, it instantly became a family tradition. This is the third of three premier hotels at Universal Orlando. You can read more about it here. 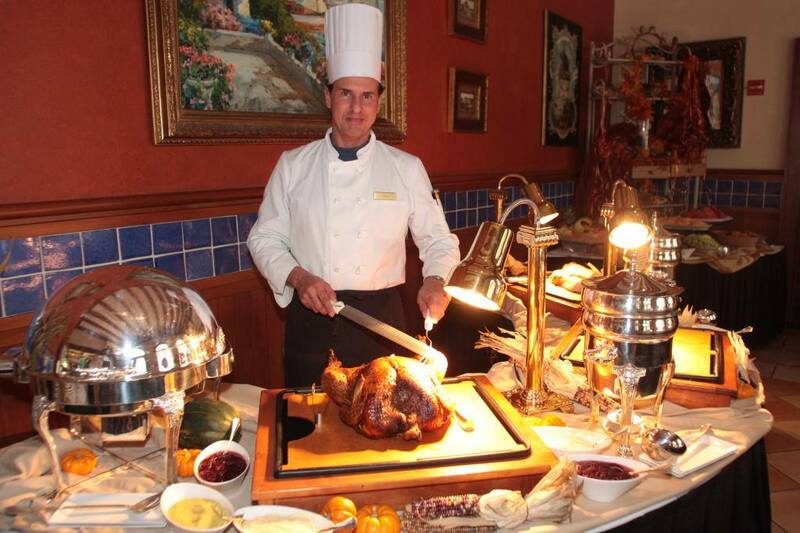 Kick off your Thanksgiving Day with a hearty holiday breakfast buffet, which is served from 7:00 am to 11:00 am. Adults: $22.99, children (ages 3-9): $12.99. Add-on all-you-can-drink Mimosas and Bloody Marys: $12.00. A holiday buffet will be served from 11:00 am to 9:00 pm on Thanksgiving Day, featuring roasted Carolina turkey, fresh-baked ham, and more. Entertainment will feature Universal Orlando characters and a face painter, balloonist, island musician, and hula dancer. Adults: $58, children (ages 3-9): $26. Add-on all-you-can-drink Mimosas and Bloody Marys: $15.00. This is the only preferred hotel at Universal Orlando. You can read more about it here. Add-on all-you-can-drink Mimosas and Cubanitas: $12.00. 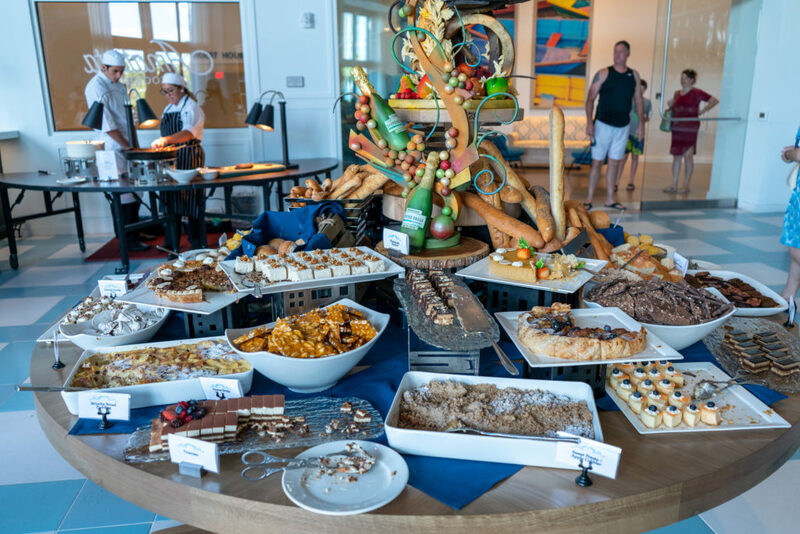 Then, from 11:00 am to 9:00 pm, Sapphire Falls offers its Caribbean-style Thanksgiving Day Dinner Buffet. Entertainment will include Universal Orlando characters and a face painter and balloonist. This is the first of two prime value hotels at Universal Orlando. You can read more about it here. On Thanksgiving Day, from 12:00 pm to 11:00 pm, there will be a Special Thanksgiving Day Feast featuring all your holiday favorites, including a turkey-carving station, stuffing, cranberry compote, mashed potatoes, gravy, candied yams, and biscuits. In addition, the Macy’s Day Parade will be shown on the jumbo screens in Bayliner for guests to enjoy (starting at 9:00 am). Adults: $16.99, children (ages 3-9): $7.99. This is the second of two prime value hotels at Universal Orlando. You can read more about it here. 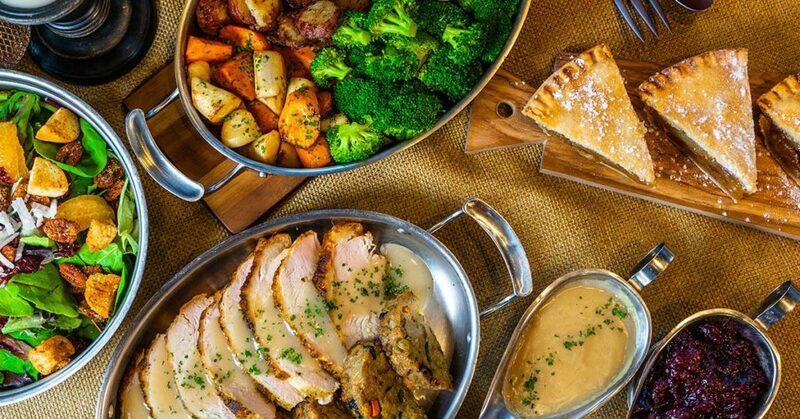 Aventura Hotel will hold its first-ever Thanksgiving Day feast, from 12:00 pm to 11:00 pm. Check back for more details on the culinary lineup soon. It’s the season of giving back! Help Loews accomplish its goal of assembling 425,000 meals for Feeding Children Everywhere, 325,000 of which will benefit children in Central Florida, with the remaining 100,000 going to the Florida Panhandle for hurricane relief. Volunteer for a one-hour shift (between 9:00 am and 1:00 pm on Saturday, November 24) at any of the six on-site hotels. Click here to sign up to volunteer. This wraps up the buffets and special events for Thanksgiving 2018 at Universal Orlando. 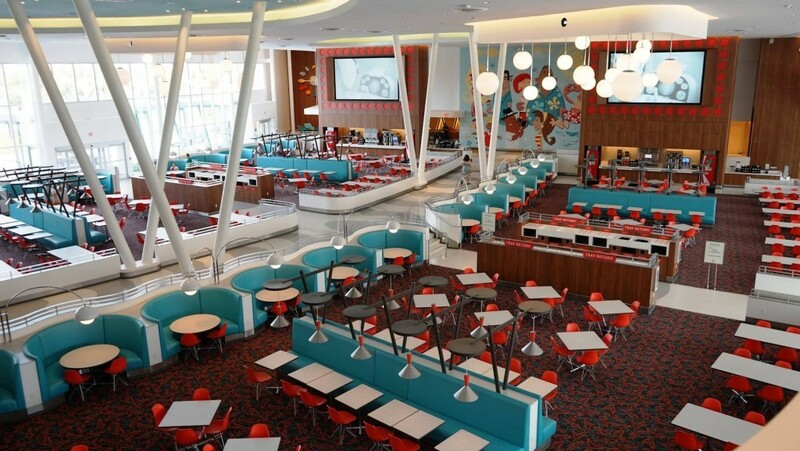 Keep in mind that, although many other restaurants at Universal may not be serving a turkey buffet on Thanksgiving, you can expect virtually all full-service restaurants to offer holiday-inspired selections on November 22 along with their normal menus. This includes Mama Della’s and all the venues at Universal CityWalk. 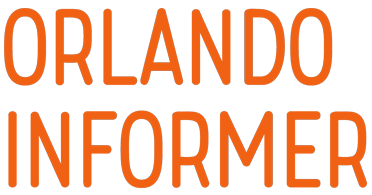 For contact information covering Universal’s restaurants not mentioned in this guide (in case you want to ask what they might be serving on Thanksgiving), visit our dining reservations page. To learn so much more about Universal’s on-site hotels, and to view our massive photo galleries with over 2,000 full-screen images of the properties, click here. We have an entire community of Universal fans discussing Thanksgiving right now! When you’re done here, join us for vacation planning and more in our Facebook community.